Cooperative kid’s games work well in the classroom, at parties, at camp – anywhere kids get together for learning and play. The variations we have listed for each game not only increases the age options, but also provide for group differences. You will need three or more soft balls or you can use rolled-up socks. 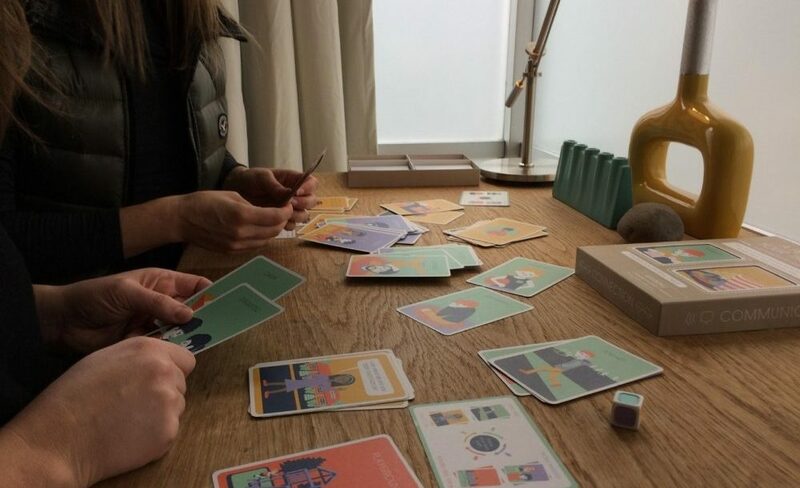 This cooperative kid’s game works for five to fifteen people, ages nine and over. Begin by having all the children stand in a circle. Explain that everyone will throw and receive the tossed object once and should throw underhand and softly. If they drop the ball, they just pick it up and continue. Once they toss the ball, they put their arms behind their back, indicating they have already had a turn. After everyone tosses and receives the ball, begin again, this time with two balls in simultaneous play. All players must toss the ball to the same person they did in game one, repeating the statements above. 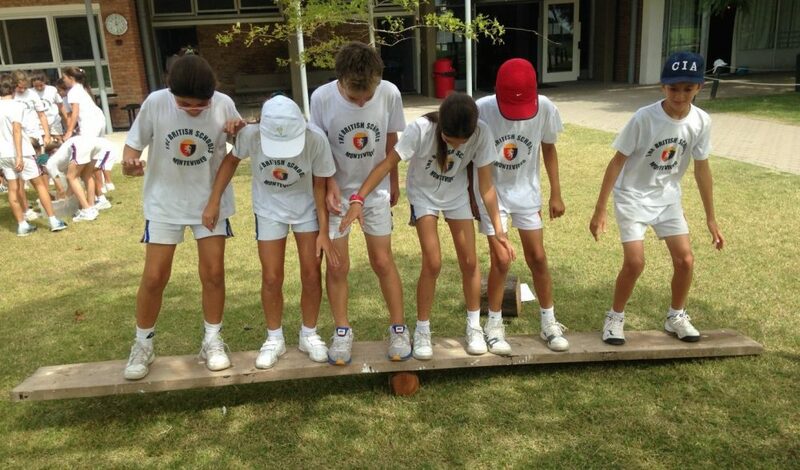 The goal is to see how many balls the group can keep going, which takes concentration and cooperation. The game ends when all the balls fall to the floor. Variation: For very young children, have them sit down and roll the ball or rolled-up socks on the floor. You will need a chair for each child (minus one) formed into a circle. This game works well for ten to twenty-five kids ages five and over. Any time during the game, the person in the middle can say, “Breadbasket!” If they do so, everyone must find a new place. Variations: For younger children, you can use the phrase, “I like people who ______.” Also, if the kids are standing, place a piece of tape on the floor to mark where they must stand. Have your group sit in a circle either at a table or kneeling on the floor. Tell them they are to place their hands in front of them, palms flat on the floor. Each kid raises their right hand and places it over the left hand of the person next to them. Tell your group of kids this is a tapping game with the goal of tapping hands in the order in which they are placed. Kid 1 begins tapping their left hand, Kid 2 taps their right hand, Kid 3 taps their left hand, and Kid 4 taps their right hand. Let the kids play a few games, and then explain a kid can reverse the order by double tapping. This makes the game more difficult. If a kid taps the wrong hand, they are out and must put their hand behind their back. Play continues until all the players have been eliminated or time is called. For children age five and over, this cooperative game works well for five to twenty players. Explain to the kids they are going to play a game in which they share compliments. For very young children, you may need to explain what a compliment is and give an example. Have the kids sit in a circle and sit with them to begin the game. Turn to the kid to your right and state a compliment. Compliment are passed around the circle until everyone has received one. Count to ten while the kids find a new place to sit in the circle. Begin round two. Play as long as the kids have an interest in doing so. If your group is large, consider breaking the kids into smaller groups, as this game is easier and more fun the faster it moves. Variation: Have everyone say a different compliment. Cooperative board games work well for a family game night, a party with friends, or any group get-together. These cooperative games teach problem-solving and build teamwork while providing fun. We have chosen cooperative board games suitable for a wide expanse of ages, with many not tremendously long to play. If you and your friends have ever thought being a firefighter would be fun, this game is for you. One to six players, ages ten and over, must use teamwork to put out the raging fire, save lives, and prevent a building collapse. Winning requires rescuing all victims, however, if the building collapses or four victims die, the players lose. A game generally takes 45 minutes to play. The basic version provides rescue of people and animals from unpredictable fires. The advanced version adds roles, such as ambulance and firetruck drivers and additional unpredictable fire hazards. This seven-player cooperative game allows players to command their own samurai, defending a village from an invading horde. The three rounds take about thirty minutes to play for players ages nine and over. Players must decide if they should attack or defend; whether and when to use their samurai’s Ki value; or how and whether to help fellow players. This fun game is quick to set up and play, meaning you will want to play it over and over. Perhaps one of the best know cooperative games, Pandemic has been around for a while and is still extremely popular. Players form a team to fight worldwide virulent diseases. The spread of the diseases is controlled by decks of cards, one of which is normal and one which intensifies the diseases’ spread, labeled Epidemic! The goal of the game is to travel, treat those infected, discover cures, and build research stations. Players cooperatively plan strategies for success. The game is for two to four players ages eight and up and takes about forty-five minutes to play. A cooperative game for one to four players age thirteen and over, Freedom: Underground Railroad takes about ninety minutes to play. The goal is to move slaves from the South to Canada, avoiding the slave catchers. Actual historical people and events add to this realistic cooperative game in which players attempt to end slavery in the United States using a combination of cards with action tokens. The players must raise funds to continue their abolitionist activity and strengthen their cause while freeing the slaves, a sometimes delicate balance. A tense, but thoroughly enjoyable and challenging game. 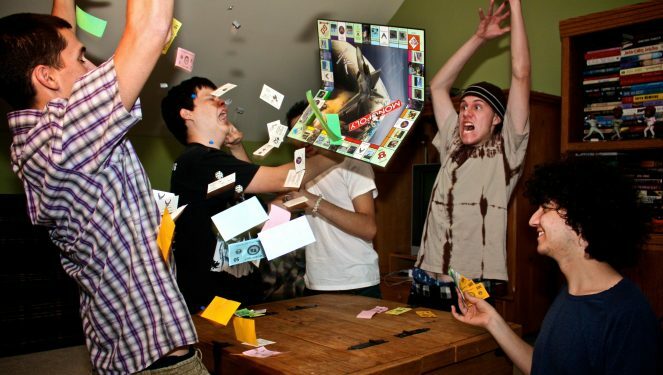 Although cooperative card games are not as common as board games, there are some available. If you wish to try a cooperative game using a standard deck of cards, try Shamus. This article does not contain a description and directions for Shamus as it is relatively difficult to explain and score. Check online if you are interested. The games included here are some of the most popular cooperative card games. Based upon the bestselling Dresden Files novels, players work together to solve cases based on the “what if” scenario. Characters are from the first five novels and a short story, “Side Jobs,” that provide random scenarios. Even if you have not read the books, this game provides an enjoyable experience. The game requires strategy, some luck, and, of course, teamwork, making it a cooperative challenge. 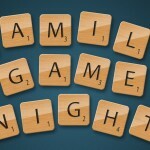 Designed for from one to five players, ages thirteen and up, the game lasts a mere thirty minutes of fast-paced excitement. With its ability to add different desks and expansions, this thematic game for one to two players ages thirteen and up takes only sixty minutes to play. Especially enjoyable for those who love the Lord of the Rings and “what if” games, players use heroes, allies, and events to fight enemies and proceed with the quest. However, players never know what will come next and if the decisions they make will prove advantageous or end in defeat. The addition of a base game makes Lord of the Rings: The Card Game a four-player game. A favorite family cooperative game, four players ages fourteen and up will love this two-hour game filled with heroes and villains. There are ten superheroes from which to choose who battle four super villains in one of four environments. Additional heroes, villains, and environments are available in expansions. Setting up this game is fast and easy. This game is different every time it is played. The forty cards also have amazing art with a comic book appearance. This three to six player game has expansions for extended play and has a wide age span, as it is recommended for ages ten and up. The goal is to repair a malfunctioning spaceship and reveal six System-Go cards before the time is up. However, complications arise that make doing so a real challenge. Cooperation gets intense with a great deal of shouting and excitement as players all work at once to avoid asteroid fields and wormholes in an attempt to escape from being sucked into a black hole. A game for two to five players (works best with four) for ages eight and up, players attempt to create the perfect fireworks show. A card deck with five different colors of cards are numbered one to five for each color. The goal is to place each color in a row in the correct numerical order. This becomes harder than it sounds, as players hold their cards so that they are visible only to the other players. A quick game of twenty-five minutes, players will want to play more than once. The team wins when they finish the display of fireworks before they run out of cards. The game includes a set of rainbow colored cards for variant or advanced playing. 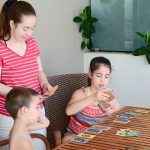 Whether you choose to purchase a cooperative board or card game, or play one of our suggested kids games, those playing will learn skills such as cooperation, communication, and collaboration from any and all of those we have listed. Additional skills, such as listening, empathy, and the ability to follow directions can be targeted by choosing specific games. Whichever game you choose, remember to have fun!